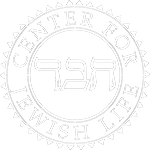 An independent institution organized by members of our community, supported by the Peltz Center for Jewish Life. and may be used for this Shabbos. the rules and guidelines for the usage of the Eiruv. The Torah prohibits carrying outside of an enclosed "private" area on Shabbos and Yom Kipper. Areas that are enclosed are considered "private" and may vary in size from a small home to an entire community. The Talmud specifies both the definition of an enclosure, and how to render an entire area a private domain. All these conditions have been met in order to create the Mequon Eiruv. Please note: it continues to be the responsibility of parents to teach their children the halachos (what can and cannot be done) as they pertain to carrying on Shabbos. It is only because of the Eiruv that we are allowed to carry within the Eiruv area. Everyone, including children, should be aware of the appropriate halachic behavior in areas where there is no Eiruv. The Eiruv will be most helpful to families with young children, who will now be permitted to wheel carriages or strollers. Others will find it convenient to bring a tallis or siddur to Shul, a book to a class, or to carry eye glasses, a house key or other permitted and/or necessary items. Of course, wheelchairs, crutches and canes may be used. It is the obligation of each individual who wishes to use the Eiruv to ascertain, every Friday, that the Eiruv is indeed functional. It is not sufficient for one to assume that the Eiruv is functional even if there have not been storms or any adverse condition (weather) within the past week. Many factors can invalidate an Eiruv, and only specific authoritative confirmation on Friday validate the Eiruv for use each week. Please remember that if the Eiruv is not operational, carrying in the public domain is a serious transgression. The purpose of our Eiruv is for the enhancement of the Shabbos observance, not its diminution. Therefore, the existence of the Eiruv should not be considered a dispensation to enter places not consistent with maintaining the sanctity and spiritual character of the Shabbos, e.g. business establishments, stores or offices. Athletic activities, bicycle riding, tennis, ball playing, swimming, skating and sledding are forbidden. The Eiruv will usually be inspected on Thursday afternoon and Friday morning, and an updated message on this page will notify everyone of the results of the inspection each week. In case of a major storm beginning anytime after preparation of the tape, (generally around 1 p.m. Friday afternoon, or after 1 p.m. on Wednesday when Yom Tov precedes the Shabbos), the Eiruv should be presumed to be non-operational. Heavy rains, wind, snow or other meteorological conditions can frequently invalidate an Eiruv. It is best to automatically assume that the Eiruv is invalid in the aftermath of any severe weather condition. The following are the borders of the Mequon Eiruv: Highland Road to the north, Brown Deer Road to the south, Port Washington Road to the east (you can only carry on the west side of road and only north of County Line Road), and Hwy 57 on the west. It is permitted to carry only within these boundaries, Therefore, in general, the boundary streets are to be considered outside the Eiruv. Our Eiruv has been constructed in accordance with the highest standards of Jewish law governing this complex subject, and in consultation with experienced Rabbinical authorities. Great effort has been made to fulfill even the minority opinions among halachic authorities in the Eiruv's construction. Nevertheless, it is important for those who use the Eiruv and for those who choose not to avail themselves of the Eiruv, to respect each other’s opinions so that the Eiruv will truly help to unify our community. If you have any questions regarding any of the above or on any of the laws of Shabbos please call the Rabbi, or email eiruv@chabadmequon.org. 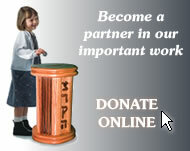 A Hebrew School your children will love! Get up to 20% cash back on your online shopping.